they are Anglicans, or belong to another church or faith – or none. As part of that responsibility, the Church of England takes education very seriously. We believe that offering the best start in life to our children is what God wants and is way of showing his love for everyone. That is why we ensure a daily act of Collective Worship, to make the spiritual dimension of life clear and accessible to our children. Religious Education (RE) takes its place in the timetable, not to convert pupils, but to give them a proper understanding of what faith means. 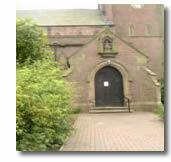 The School and the Parish Church work closely together to ensure the best levels of collaboration. Special School services are regularly held (either in school or in Church), to which parents and guardians are very welcome. The Vicar (Parish Priest), Fr Tommy, is also one of our Governors and is a regular visitor. For those pupils who seek to develop their Christian Faith, the Parish Church offers preparation for Baptism and Confirmation.